The depiction of the paranormal has become prevalent in television and movies in recent years. This intriguing account by ghost hunters Lorri Sankowsky and Keri Young covers everything from high-tech gadgets, to inborn psychic abilities, while instructing readers on how to locate friendly or not so friendly apparitions. The first complete source for collectors and researchers of Gruelle memorabilia. This illustrated biography of an American illustrator, children’s author, and doll and toy designer chronicles Gruelle’s life, exploring how Raggedy Ann and Andy evolved over the years. Includes rare and previously unpublished photographs. Hardcover. 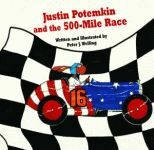 The 500-Mile Race is more than just a race for Justin Potemkin. 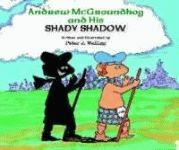 Justin, the grandson of the losing hare in the well-known Tortoise-Hare Race years ago, is the hero of this clever story about a Russian peasant who takes on the czar, Mos Romoonoff, and a tortoise named Lenin in an attempt to win back the honor of hares. Justin is teased endlessly for his ancestor’s loss, his position in life, and his name, which sounds a lot like “pumpkin.” Hardcover. Once upon a time in 1564, Charles IX, the king of France, ruled that the first day of the year would be January 1 instead of April 1. Those who forgot the change and celebrated New Year’s Day on April 1 were ridiculed by having fish thrown at them. 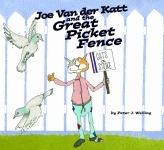 In the skilled hands of Peter Welling, this history takes on a hilarious dimension. 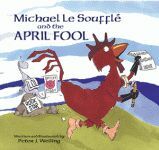 In the French town of Bakonneggs, there exists a rivalry between the Mayor Melon de Plume, a pig, and a prankster rooster, Michael Le Soufflé. The mayor lacks a sense of humor and is annoyed to be disturbed from his slumber by Michael&rsquos crowing laughter. He issues new laws (including a ban on all feathers), but the town continues, under the rooster’s leadership, to laugh and play. Hardcover. 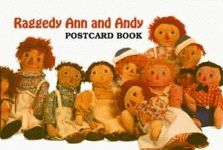 Casual collectors and Johnny Gruelle fanatics alike will love these postcards, which contain several previously unpublished images and show some of the rarest merchandise known to exist. Postcard book. The publications of Johnny Gruelle have been exhaustively researched and extensively cataloged in this bibliography. The foremost expert on Gruelle and his creations, Patricia Hall has compiled a beautiful volume bound to delight die-hard Raggedy collectors, Gruelle bibliophiles, and casual readers alike. With hundreds of illustrations from Gruelle’s publications, this book is more than just a bibliography, it is an annotated photographic history of one of this country’s greatest contributors to children’s literature. Hardcover. Artist Johnny Gruelle patented a doll in 1915 that he called Raggedy Ann. This charming illustrated story for children tells how that doll was created. Along with the beloved doll, Marcella, the artist’s daughter, is star of the tale. This is the story of how Raggedy Ann came to be, from scraps in a sewing basket to a cherished doll that has delighted people across the world for over eighty-five years. Hardcover. 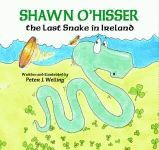 In this fast-paced new twist on an old tale, whimsical snake Shawn O’Hisser returns to his native Ireland from a visit to England and Wales to find that all of his snake friends have vanished, as has all the leprechauns’ gold.